Daily Lessons are scheduled at different times throughout the day. They take two and a half hours with everything provided. They take place in waist deep water with qualified instructors with them at all times. It’s a great way for children to build up their knowledge and confidence. 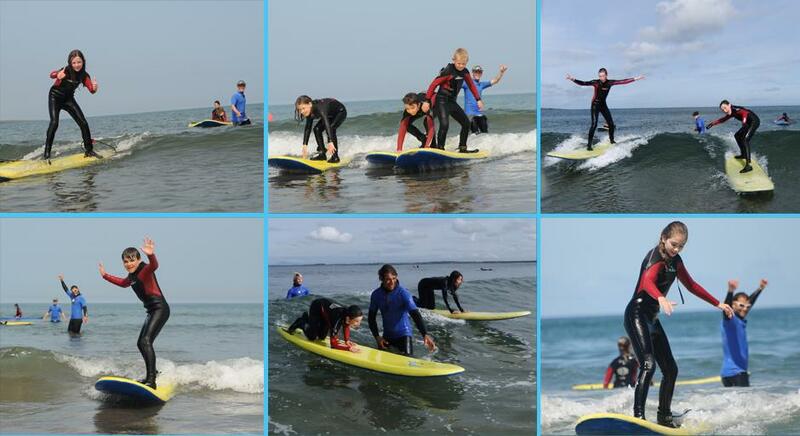 They’ll be standing up on their surfboards with big smiles in no time!